So much yarn, so little time. : Let's meet... Lindesigns! 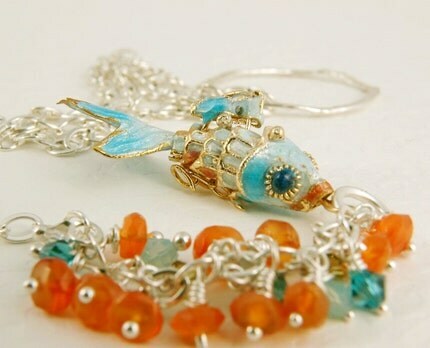 Lindi is a fellow Etteam member, and makes beautiful jewellery (although she no doubt spells it "jewelry"!) 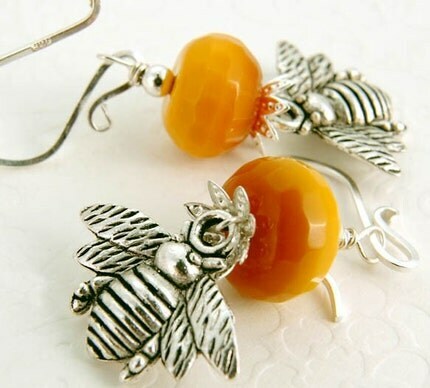 I know I've used these earrings with the honey bee in at least one treasury! Dogs, of course! Unfortunately I'm currently dogless as I lost my sweet dalmatian a few months ago. But hope to adopt 1 or 2 dogs soon! Hmm, I have to pick just one? Documentaries - although, I'll confess I occasionally watch a soap every so often. Shower, but if I had a jacuzzi tub I would be in that everyday! I starting buying off Etsy in 2007 and decided it might be a good place to try my hand at selling some of my pieces. I spent months reading all the articles I could find on Etsy about opening/running a store/marketing and decided to go for it. I started out with mainly jewelry and some photos, but have added some accessories lately. I have not sold anywhere else yet, but plan to get my website up and running soon! Any of the items in my Simply Silver Collection, but I like the hammered flower best! *Nifty nods in agreement* We love ETTEAM! Maybe a different shop name...List and renew more often than I did in the beginning - I had no idea how important that was until recently! 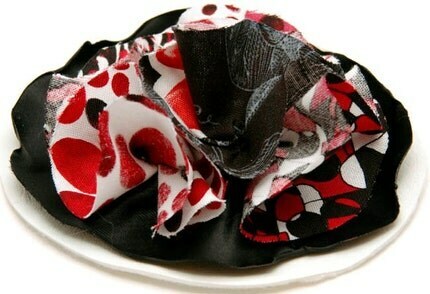 Making some fabric brooches and jewelry! Go to Timothy Adam Design blogspot for a wealth of information on selling and driving traffic to your shop. Nice interview. 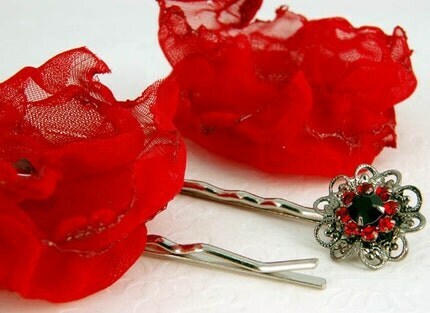 Have also enjoyed using Lindi's pieces in treasury collections - especially the hammered silver and the fabric flowers. Pleased to get to know Lindi a little better. Lovely interview - thank you for profiling this talented artisan! Great to meet you Lindi. You are so sweet to do this for your teammates, Heather.